N'DJAMENA, Feb 17 (Reuters) - The U.S. military will share communications equipment and intelligence with African allies to assist them in the fight against Nigerian Islamist group Boko Haram, the commander of U.S. Special Forces operations in Africa said. Major General James Linder said that, as part of the annual U.S.-sponsored "Flintlock" counter-terrorism exercises this year in Chad, the United States would introduce technology allowing African partners to communicate between cellphones, radios and computers. 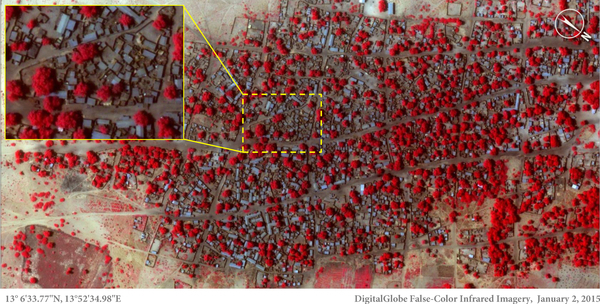 Boko Haram killed an estimated 10,000 people last year in its campaign to carve an Islamist emirate from northern Nigeria. On Tuesday the group's leader, Abubakar Shekau, appeared in a video monitored by the U.S.-based SITE Intelligence Group in which he threatened to disrupt upcoming Nigerian elections and condemned regional governments for not following Sharia law. Shekau also claimed responsibility for an attack on the northeastern Nigerian city of Gombe on Saturday, which local officials said was repulsed. 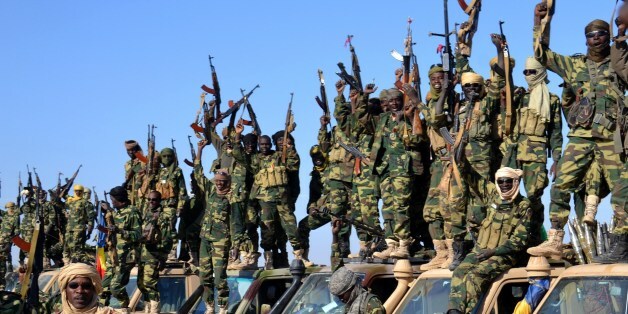 Amid growing international alarm, the four nations of the Lake Chad region - Chad, Niger, Cameroon and Nigeria - plus neighboring Benin are preparing a joint task-force of 8,700 men to take on the Sunni jihadist group. Chad's military, which played a leading role in a French-led campaign that ousted Islamist groups from northern Mali in 2013, has already led attacks against Boko Haram positions in Nigeria's border regions. "The Lake Chad nations are battling Boko Haram and we have a vested interest in that group of nations' collective success ... What Boko Harm is doing is a murderous rampage, about brutality intolerance and subjugation," Linder said in an interview late on Monday. "Our national leadership has been very clear that more was going to be done ... There is an ongoing discussion on how will we provide additional tools, techniques, and material to partner nations." At the Flintlock exercises, the U.S. military will also be introducing a "cloud-based" technology to allow African allies to quickly share intelligence across borders, such as mapping information on the location of potential targets, Linder said. "We need support in terms of intelligence and logistics, above all in communication because the equipment we have comes from different countries, and their support will make our task much easier," he told Reuters. "The Americans have aerial capabilities that we do not have." The ninth edition of Flintlock, grouping 1,300 soldiers from 28 African and Western nations, will emphasize the importance of troops fostering strong relations with local communities to gain intelligence on insurgent groups. "It's the things that we find from flying over a target and having an FMV, a full motion video, or being able to take pictures, or being able to do a different type of geo-spatial analysis or predictive analysis on the enemy," he said. Washington's long-term goal was to enable African nations to be sufficiently trained and equipped to face their own security challenges, Linder said.